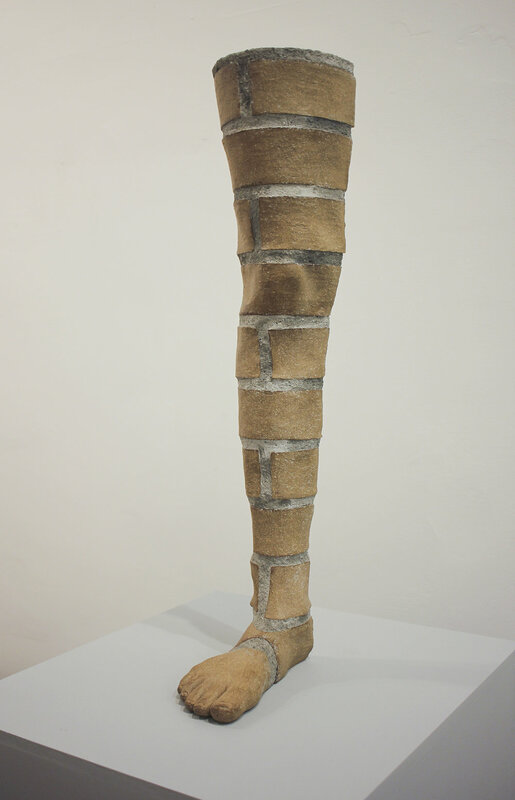 This sculpture is a quarter of a female body created out of ceramic brick and mortar. 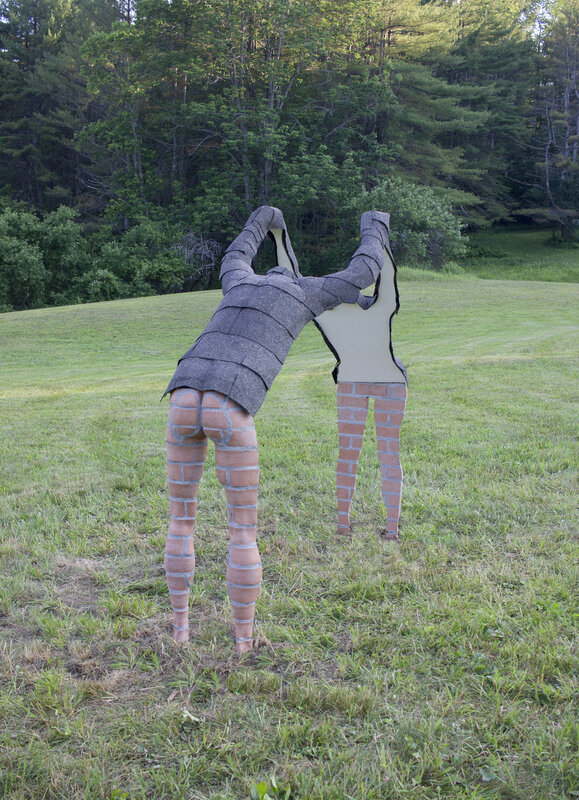 The exterior is a female body and the two interior sides resemble the corner of a brick structure. This side resembles the side of a brick building while being the outline of a body. 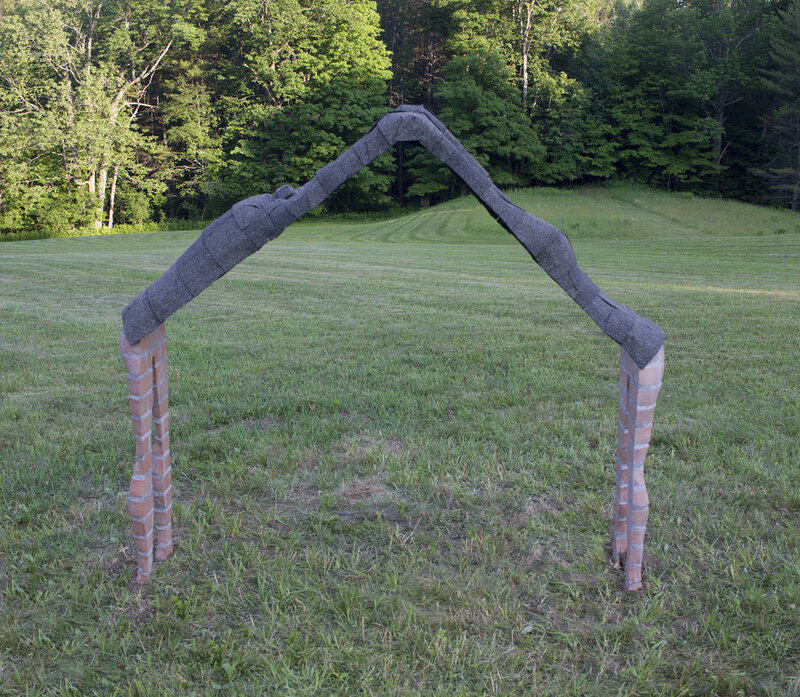 This piece questions natural growth vs human construction. The interior corner is the plumb line of the body and makes the viewer question interior/exterior spaces.